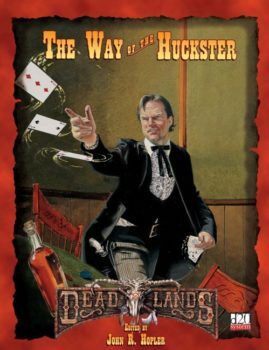 Deadlands: Reloaded puts you in a Weird West filled with danger. One of the few things you have going for you are Fate Chips that bend destiny to your side, but just a bit. These custom Fate Chips let you bend that destiny with style! 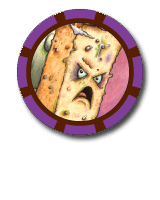 This pack of forty custom poker chips has everything you’d need for a Deadlands Fate Chip pot: 20 white chips featuring the everyday “meat-and-potatoes” visage of Reverend Grimme, 10 blood-red chips throbbing with Raven’s anger, 5 cold blue chips with the remorseless Stone and the steel of his guns, and 5 Legend chips with the gold glint of Darius Hellstromme’s clockwork brass. 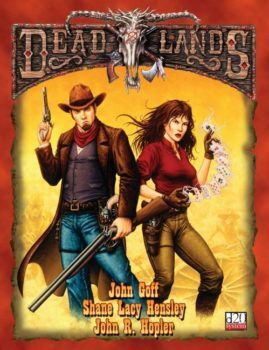 Each reverse shows the Deadlands logo, just to help keep you grounded. 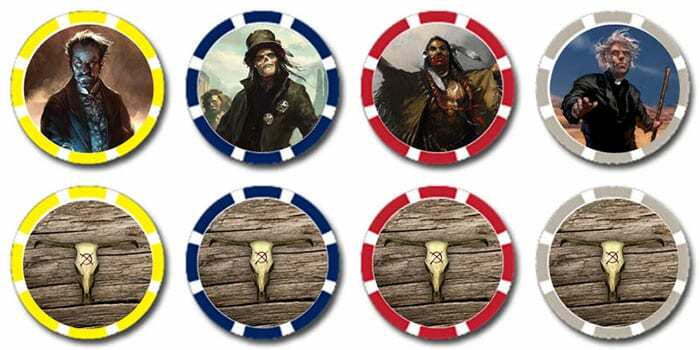 Designed for use as Fate Chips for Savage Worlds’ Deadlands: Reloaded, these custom poker chips could be used as counters or tokens for nearly any game. 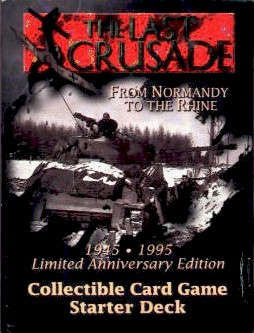 Looking for the old Fate Chips, for as long as stock lasts? Go here!